The American Medical Association recently voted to recognize obesity as a disease. What does this controversial decision mean for broader public health efforts to combat obesity, and what does it mean for overweight people? 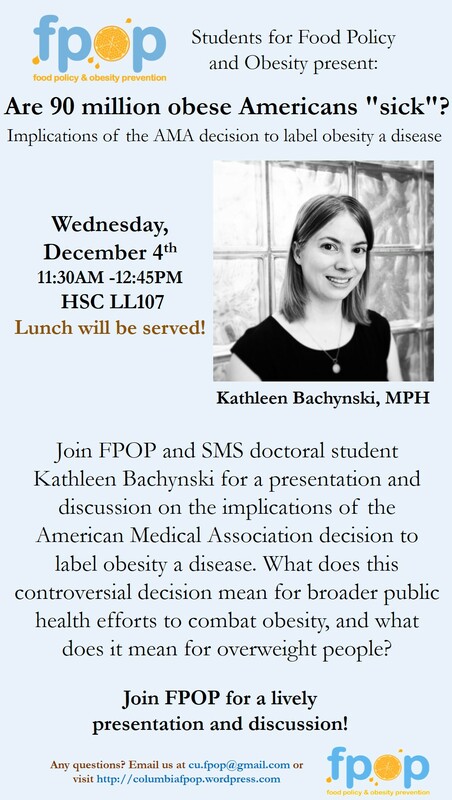 Kathleen Bachynski, a doctoral student in the Department of Sociomedical Sciences, will examine the context of the AMA’s decision and its implications for obesity-related stigma, insurance coverage for the treatment of obesity, and defining what it means to have a disease versus a risk factor.